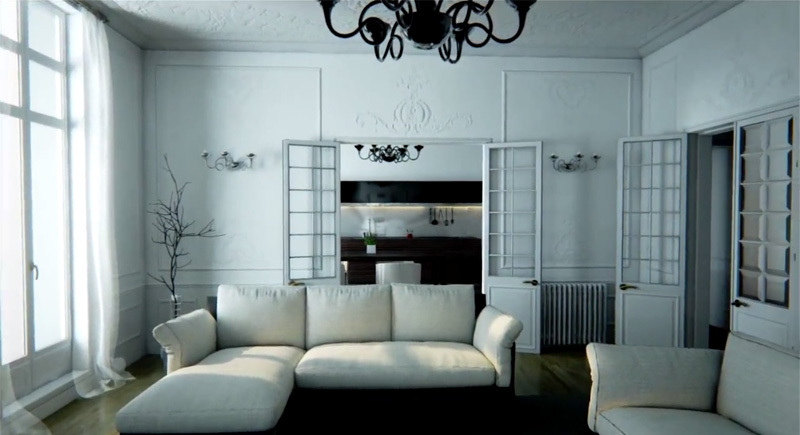 Video game level designer Benoît Dereau shows off the power of Unreal Engine 4 in this beautiful walkthrough of a Parisian-style apartment. Pretty incredible when you realize it’s all being rendered in real time! If your machine has the capability, you can see the 1080p 60 fps version here.